Ousmane Dembele is continuing his recovery from a hamstring problem but will sit out Saturday’s clash with Atletico Madrid. According to AS, the Frenchman’s recovery is taking slightly longer than expected, and he will not be fit enough to face Diego Simeone’s side. Barca are also being cautious with Dembele because they do not want him to suffer another injury and miss more time. The club remain hopeful he will be able to play some part in next week’s Champions League quarter-final against Manchester United at Old Trafford. 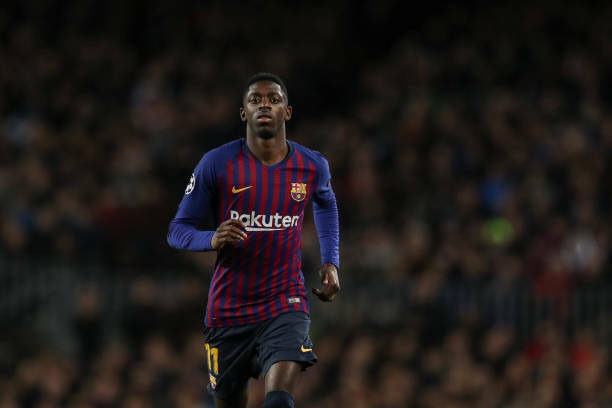 Dembele is due to train with the team on Monday and will hopefully be passed fit enough to be included in Valverde’s travelling squad. If he does make the list then Barca will monitor him in training on Tuesday to assess if he will be fit enough to play some part against the Red Devils.